At Women’s Health Physiotherapy Centre, we are passionate about providing effective, individualized and evidence based treatment for the women we care for. We look forward to meeting you. Laura completed a Bachelor’s of Medical Rehabilitation in Physical Therapy degree from the University of Manitoba in 2006. She has worked in both the hospital and clinic setting since graduating and has found her passion and special interest in women’s health and prenatal/postpartum care. Laura has taken many post-graduate courses to hone her skills and improve care for her patients, including focusing her education on women’s pelvic health. She is rostered with the College of Physiotherapists of Ontario to provide this specialized care and is passionate about it. Laura is the mother of two beautiful girls, a wife, a former dance instructor, alternative health enthusiast and wannabe Yogi. 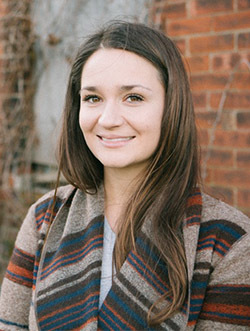 Tori earned her Bachelor’s Degree in Life Sciences from Queen’s University in 2009 followed by her Master’s Degree in Physiotherapy from McMaster University in 2013. She discovered her passion for Pelvic Health Physiotherapy early on and has been working exclusively in this field since 2014. She has completed Levels I-IV in Pelvic Health through Pelvic Health Solutions. She has since earned her 200-hour Yoga Teacher and Pre- and Post-natal Yoga certification from Balanced Life Yoga to support her practice in pelvic health. Tori is dedicated to lifelong learning and continues to build her clinical skills through continuing educational courses and attending conferences. She is also a passionate practitioner who loves to help her patients achieve optimal pelvic health. When she is not working in the clinic, you can find her outdoors running, hiking, paddle boarding, snowboarding or at yoga! Megan received a Bachelor’s degree in Biology from the University of Victoria in 2007 and a Masters of Science in Physical Therapy from the University of Toronto in 2009. 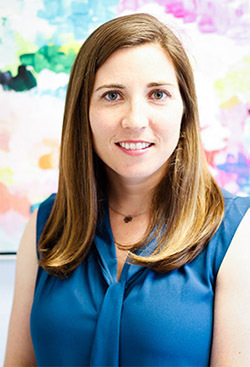 Megan’s practice initially focused on infants, children and teens and has worked in both the hospital and private setting. 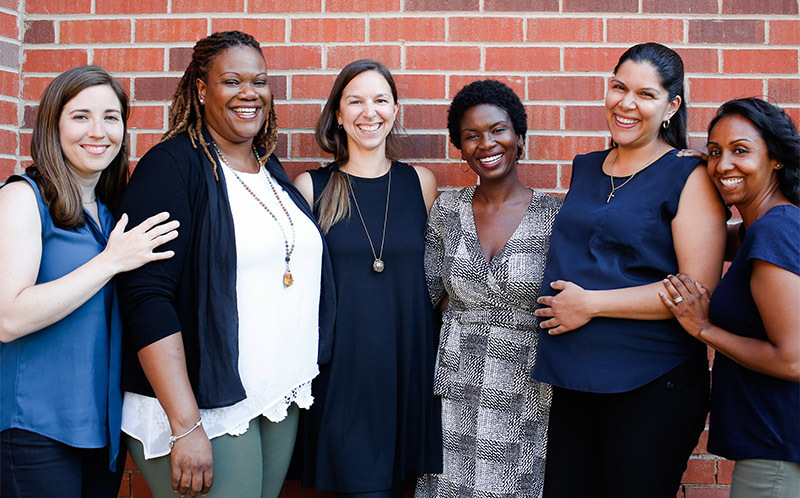 Through her work, she encountered many mothers who struggled with pelvic health conditions during pregnancy and in the years following childbirth. Out of curiosity, she decided to explore the field of pelvic health and was immediately impressed. Megan went on to receive further training in pelvic health physiotherapy and continues to expand her knowledge and skill base through ongoing coursework. Megan also has a keen interest in research and is currently completing a PhD through Rehabilitation Sciences Institute at the University of Toronto. Her research looks at factors associated with physical activity participation in children with physical disabilities. When she is away from work, Megan has an extensive list of activities, most notably rock climbing, cycling, swimming, running and spending time in the great outdoors. Nicole graduated from Queen’s University in 1995, receiving degrees in both Life Sciences and Physiotherapy. In 2001, she successfully completed her Diploma of Advanced Manual and Manipulative Physiotherapy. 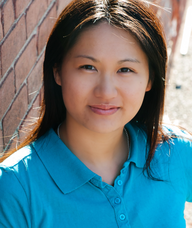 She also has a Contemporary Medical Acupuncture certificate from McMaster University. In 2015 Nicole pursued multiple courses in persistent pain and pelvic health. Nicole is passionate about working with individuals of all ages and activity levels to address their pelvic health needs. She provides a comprehensive approach to treatment including tailored exercises, education, lifestyle modification, manual therapy, acupuncture, and soft tissue mobilization. Nicole is committed to empowering her clients and giving them the necessary tools to manage their symptoms and meet their goals. When not working, Nicole enjoys staying active with her husband and 3 daughters, downhill skiing, being outdoors, gardening, cooking, and snuggling with the dog. 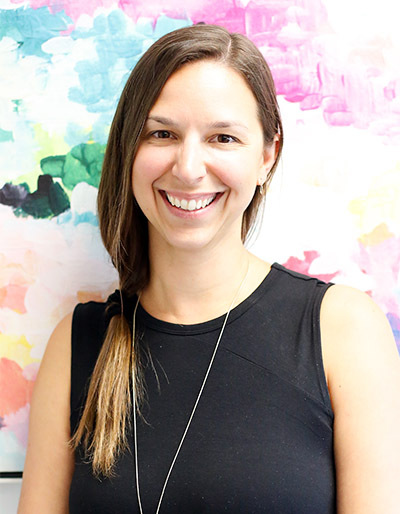 Nadia completed her undergraduate studies at the University of Western Ontario in 2003 and graduated in 2006 from D’youville College in Buffalo, New York with a Masters in Physical Therapy. Upon graduation she practiced in various locations throughout the United States, working in a variety of hospitals, rehab centres and outpatient clinics. Nadia took a special interest in pelvic health when she herself experienced ongoing pelvic pain and after seeing many specialists was left with many unanswered questions. It wasn’t until meeting a pelvic health physiotherapist that she was able to gain a better understanding of her pain and how it could be treated. Due to this experience, in 2009, when Nadia returned to Canada, she completed her first pelvic health course. Since then Nadia has continued to develop her skills by working with a variety of pelvic health clients and by attending ongoing educational courses. 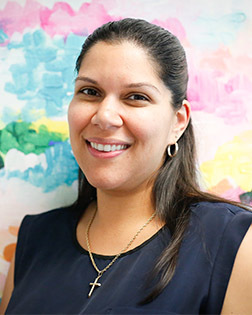 Nadia is passionate about Pelvic Health and is focused on creating a rehabilitation program that is unique to each patient. If Nadia is not in the clinic or playing with her sons, you’ll most likely find her at the gym, walking her dog, enjoying the outdoors or at yoga. Michelle is a mother, co-author, teacher, Labour Support Provider and Registered Massage Therapist who has been practicing massage therapy since 2001. 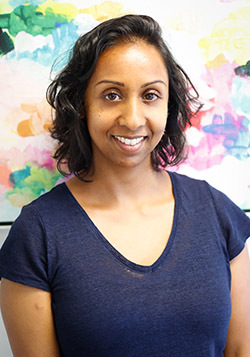 She is a 1999 graduate of the University of Toronto with a Bachelor’s of Arts and 2001 graduate of Sutherland-Chan School of Massage Therapy; and has served as a Massage Therapy Faculty member at Centennial College and Coordinator at Sutherland-Chan School of Massage Therapy. Over her 16-year career, her practice has been varied treating everything from sports injuries and Motor Vehicle Accidents to stress management and patients with cancer. 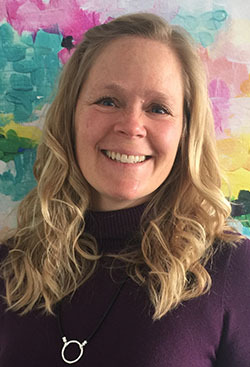 Michelle’s primary focus is in women’s health, which has directed her massage practice to become more perinatal focused, providing support during pregnancy, birth, postpartum and for infants and children. Her work has often been in the multidisciplinary clinical setting and within hospitals. This passion has led her to become the Co-founder of Perinatal Massage Therapy Education, which provides comprehensive continuing education for massage therapists internationally. Most recently her desire to share the power of touch has taken her to India where she is serving as the Principal of the International Medical Massage Therapy Institute. As your Registered Massage Therapist, Michelle is excited to offer her wealth of experience and education to the patients at Women’s Health Physiotherapy Centre. Lotus is a 2004 graduate of the Canadian College of Massage & Hydrotherapy. Her intuitive and results based approach to massage therapy sets her apart and is driven by a keen interest in the healing mechanisms of the human being. Lotus is constantly amazed at the body’s powerful innate healing ability. She is excited to share her uniqueness and expertise with the patient’s of Women’s Health Physiotherapy Centre. Randi-Mae is a mother, author, speaker and Mindfulness and Meditation Facilitator and Counsellor. She has been practicing mindfulness for 15 years; mindfulness and compassion practices have been weaved into the fabric of her life. She shares mindfulness with individuals, groups and organizations seeking to explore and invite a holistic approach to wellness and stress reduction into their lives. Randi-Mae worked as a Crisis Counselor for six years, providing immediate support to individuals and families in the most challenging moments of their lives. 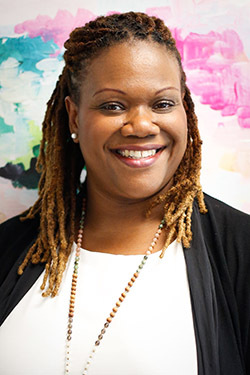 Randi-Mae holds a degree in Family and Community Social Services from the University of Guelph and a diploma in Social Services from Humber College. She is a registered Social Service Worker. She completed the Applied Mindful Meditation Certificate at the University of Toronto and Life Coaching Certificate from the Transformational Arts College of Spiritual and Holistic Training. She has also completed a Mindful Motherhood Certificate. Swaati has worked for many non-profit organizations, specifically in the healthcare industry as an event coordinator and administrator. She has always had a passion for healthy living. 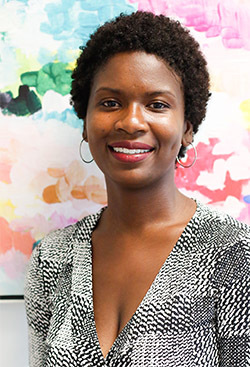 After the birth of her two children, she came to understand the importance of care needed for her post-baby body and mind, and takes joy in the fact that she works in a place that supports women’s health. Swaati holds a Bachelor of Arts degree in Culture, Women’s Studies and Languages from York University. She has also earned her 200-hour Yoga Teacher certification at Balanced Life Yoga. Swaati and her husband have two high-energy, animated boys. She enjoys listening to educational podcasts, thoroughly enjoys food, is a music lover and travel enthusiast.